A: Repetitious or monotonous driving can be the cause of time-on-task fatigue. So, what does that mean? Researchers have related the duration of activity, or time on task, to fatigue symptoms. Learn how oneTexas energy giant prioritizes transportation safety. 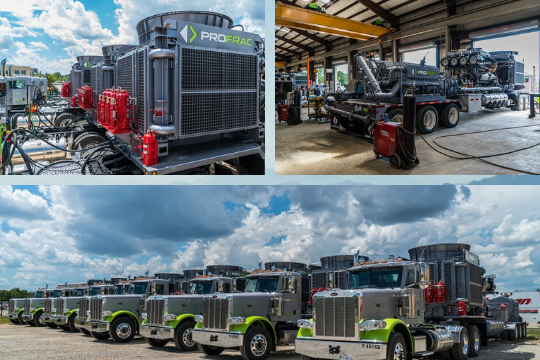 When ProFrac Services started doing business in 2016, company leaders set a goal to shake up the pressure pumping market by supplying new and better equipment to its customers in the hydraulic fracturing industry. From the get-go, company leaders recognized that manufacturing and delivering equipment to job sites required a commitment to excellence that extended across the board and included the implementation of a health, safety and environmental management program. ProFrac’s operations are unique in that very few drivers operate a vehicle on a daily basis. When equipment is moved between job sites, the level of exposure is very high. Nearly 80% of the company’s heavy vehicle fleet requires an overweight or oversize permit for compliant operations. From its district office locations, ProFrac has deployed nearly 700 heavy vehicles and nearly 250 light vehicles. The company employs more than 500 CDL drivers and more than 600 non-regulated drivers. Several ProFrac offices are located in Texas, including company headquarters in Willow Park and the company manufacturing facility in Cisco. Weekly safety meetings are provided for all employees. Telematics and vehicle technologies are used to ensure transportation safety compliance and, when necessary, to provide coaching. ProFrac tracks several different transportation metrics on a weekly basis. By recording data weekly, ProFrac is able to implement controls and measure results. ProFrac’s implemented controls include audible feedback for negative driving performance, seat belt non-compliance and speed-limiting of vehicles. ProFrac’s HSE team uses birthday mailings to communicate safety messages, including the #EndTheStreakTX campaign intended to raise awareness of a Texas road safety streak that dates to Nov. 7, 2000. 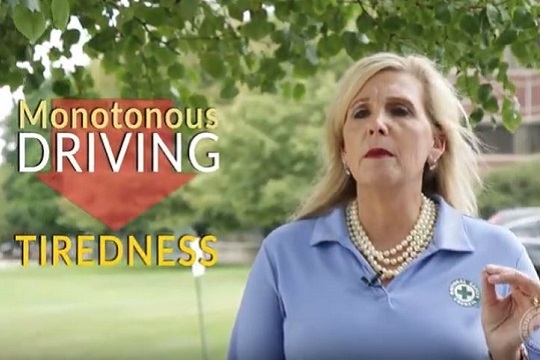 At least one person has died on state roads every day since the streak started more than 18 years ago, according to the Texas Department of Transportation. “ProFrac, as an employer and industry leader, intends to spread awareness of this deadly crisis one family at a time in hopes that someday Texas can enjoy a streak of no fatalities on its roadways,” ProFrac DOT Manager Phil Baxter said. ProFrac monitors road safety occurrences on a ratio compared to the number of miles operated. By analyzing each metric as a ratio to miles traveled, ProFrac is able to place all district offices and all historic data on the same scale and judge performance accordingly. ProFrac’s results of safety efforts vary by initiative. The result of ProFrac’s implemented seat belt controls are impressive. Members of ProFrac’s HSE team have attended free Our Driving Concern training sessions and make use of free resources from Our Driving Concern in the distribution of ProFrac’s monthly safety newsletter. Baxter said the idea is to not only engage employees but also their loved ones at home.